Amisy automatic fruit core removing machine is designed to remove the cores/pits/stones from various fruits such as apricot, peach, olive, greengage, plum and etc. After a series of processing, the fruits will become 2-3cm granules, which are both beautiful and delicious. 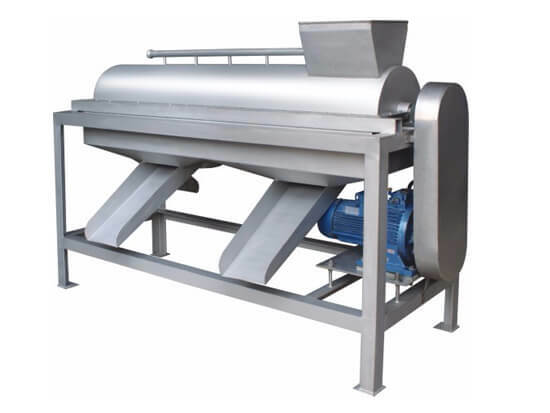 They are the favorite fruit processing machine for commercial and household use. 1. The automatic fruit core removing machine is made of stainless steel, which is antirust and durable. 2. The machine can process various fruits, such as apricot, peach, olive, greengage, plum and etc. '3. The rollers and scraper can be changed according to different fruits and the machine’s running status. 4. The gap between the rollers can be readjusted to achieve the best processing result. 5. The machine is low energy consumption and environment-friendly.